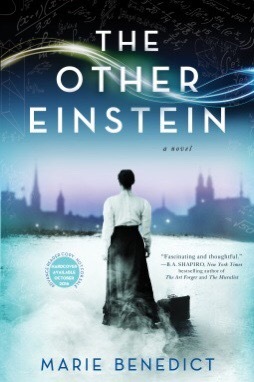 A literary historical in the tradition of The Paris Wife and Mrs. Poe, The Other Einstein reveals a complicated partnership that is as fascinating as it is troubling. A truly fascinating read. I enjoyed so many things about this book, the science, the time period and the characters. I love learning when I read. I guess that is why I find historical fiction so appealing. This is a wonderful book that fits the bill! I never knew Einstein was married to another physicist. What a strong woman Mileva must have been. To succeed during an era where only men were allowed to, was an amazing feat indeed. Then to get divorced! She was truly ahead of her time. The only reason I give this 4 stars is I wanted more! It is a fiction book and I understand that. But, I wanted to feel more attached to Mileva. I wanted more embellishments. This is still an amazing and intriguing read! It is not to be missed by any historical fiction reader! This is a must read for me. It sounds fascinating. Excellent review. I can’t imagine being cast in the shadows after all her precedent-setting accomplishments. My soapbox is itching to come out, but I will refrain to say, you have peaked my interest.